Pain can happen at virtually any time. From an extreme situation like a car crash to something far more mundane such as picking up a paperclip from the floor, hurting your back or neck is fiendishly easy. Adding insult to literal injury, that pain can restrict your normal movements, cause havoc with your sleep schedule, and prevent you from living a normal life. At The Kuwamoto Clinic, we’re intensely aware of how disruptive pain can be. Since 1981, we’ve brought an equal amount of intensity toward helping our clients in Fresno feel better. We do so with decades of experience, and an understanding that everyone is different. Initially, we’ll conduct a one-on-one consultation, examine you, and if necessary, X-rays can be completed. After that, we’ll offer personalized treatment. For some, a gentle alignment of the spinal column will alleviate symptoms. For others, we have the option to use our DRX 9000 Spine Decompression Machine for spinal decompression therapy treatment for disc compression and hernias. 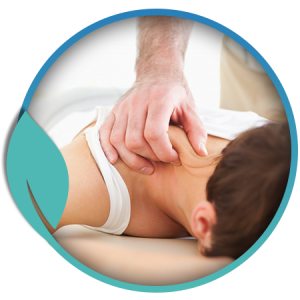 Our car accident chiropractor and staff approach each case with patience and compassion, and we do what it takes to ensure your experience is comfortable and relaxing. We’re focused on providing high-quality care and taking a multidisciplinary approach. If the best course of action is to work alongside other methodologies or refer you to a specialist, we’ll gladly do just that. Ready to do your back and yourself a favor? Contact us online or by phone today to see our car accident chiropractor and start living pain-free.